Series 9. 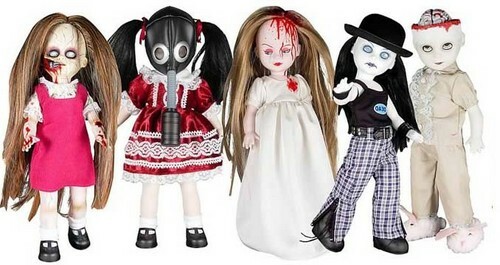 Dawn, Toxic Molly, Elisa Day, Blue, Purdy.. Wallpaper and background images in the Living Dead mga manika club tagged: living dead dolls. Dawn, Toxic Molly, Elisa Day, Blue, Purdy. This Living Dead mga manika photo might contain surcoat, cocktail dress, and upak.